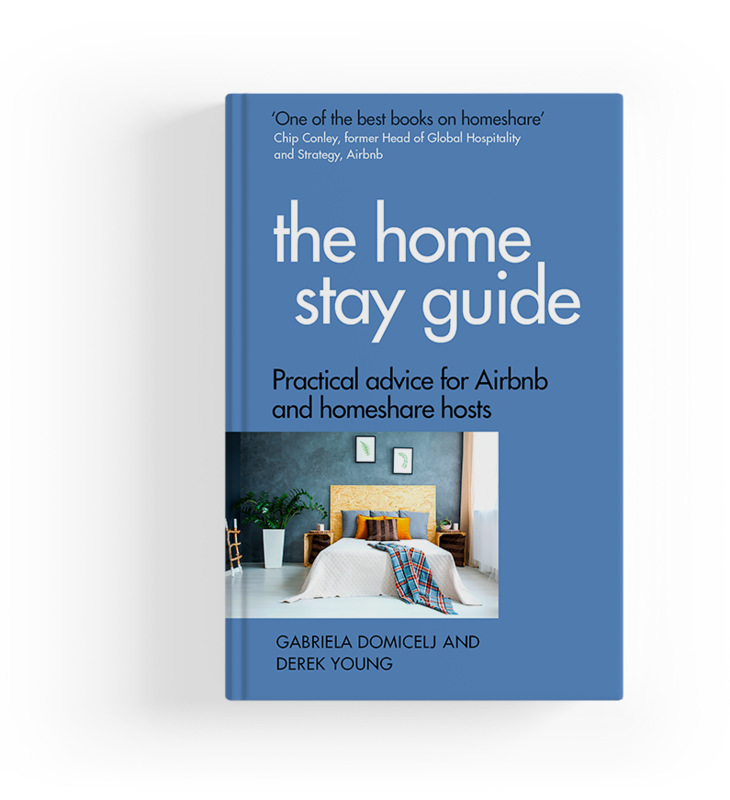 In this book we share tales of living full-time in Airbnbs in more than 50 countries (at the time of writing). From the barber’s chair in Dublin and the dentist’s chair in Split, to a wild motorcycle ride in Athens, a peek behind the Soviet curtain in Transnistria and the demise of a chicken for dinner in Marrakech, we found the world to be just one big neighborhood. If you own a homeshare business or are thinking of starting one, stop what you are doing and buy this book! Managing a homesharing business comes with all the responsibilities of running a small hotel — only without the staff. From fluffing the pillows to filing the taxes, you need a wide range of skills and a keen eye on the bottom line to be successful. Derek and Gabriela are seasoned business and leisure travelers as well as acclaimed hosts, and they bring years of top-level experience in financial planning and marketing, alongside their passion for hosting, to every page. For more information visit homesharesolutions.com. Find their book on Amazon. We are from Seattle,Washington, one of the most beautiful cities in America and a great place to call home — if you have one. As we were closing in on retirement, we felt we had “one more adventure in us” so in July of 2013 we rented our house, sold our sailboat and one of our cars, and reduced our stuff until it fit in a small storage unit. We waved goodbye to our family and friends and set off to explore the world! Our goal was to live our daily lives in other peoples homes just as we would if we'd retired in Seattle - so far the experience has been everything we'd hoped for. Since we left we have called over 200 Airbnbs home, and visited more than 250 cities in 80 countries including all of Europe, Turkey, Israel, Russia, Mexico, Africa, Cuba, The MIddle East, Central Asia, New Zealand, Australia and Asia. We weren't sure how long we'd be gone. Now, five years later, we still aren't sure! In fact, we sold our home in Seattle so now we truly are nomads! We’ve also compiled a full list of every Airbnb apartment, room, flat, bungalow, condo, suite and house we’ve stayed in during our travels. They are not necessarily our recommendations, although there are some great ones. Maybe they will inspire you to try Airbnb and next time you travel for fun or for business.